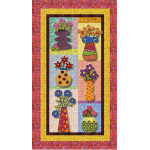 This lap-sized quilt is a perfect gift for that sweet grandma or "Mom." 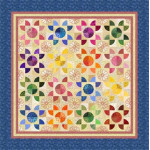 And it goes particularly fast and easy because it is paper-pieced! 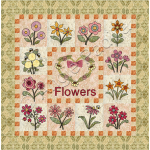 Finished quilt size: 59 x 64"
Simple and sweet, this charming little quilt will be a delight to sew! 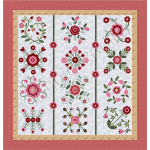 Finished size: 32 x 32" ..
Delicate and elegant, you get to choose whether to applique or embroider this beautiful wall h.. This project is perfect for those looking for something easy and quick. Although suitable for hand..